Hilariously, some readers are still missing the point. I wonder when they'll get it. I have been using different sorts of examples to illustrate the "thoughts affect reality" concept. But when I used Buddhism as an example, some readers said I shouldn't use Buddhism. When I used quantum physics, some readers said I shouldn't use quantum physics. When I used financial markets, some readers said I shouldn't use financial markets. When I used rats and children in the Rosenthal experiment, some readers said I shouldn't use rats and children. They miss the point. They just don't see that reality refuses to be divided up into neat slices according to our academic classifications. Reality is not "Buddhism". Reality is not "quantum physics". Reality is not "financial markets" and reality is not "rats" or "children". Reality is just reality. And thoughts affect reality - all of it. Whatever you think about. And that is why you can look into ANY area of reality, including such diverse areas as Buddhism, quantum physics, finance, psychology etc, and still find evidence of the same "thoughts affect reality" phenomenon at work. Today, what shall we talk about? Ummm, let's see. How about health and fitness? Shall we proceed to grow our muscles just by thinking about them? "Ridiculous! Mr Wang is insane! Next he'll tell us that scientists have really discovered that you can increase your muscle size AND strength, just by thinking!" Scientists have come up with just about the best news that a couch potato could ever want to hear. They say you can increase the strength of your muscles just by sitting back and imagine yourself taking exercise. The discovery could help patients too weak to exercise to start recuperating from strokes or other injuries. If the technique works in older people, they might use it to help maintain their strength. Muscles move in response to impulses from nearby nerve cells called motor neurons. The firing of those neurons in turn depends on the strength of electrical impulses sent by the brain. Dr Guang Yue, an exercise physiologist at the Cleveland Clinic Foundation in Ohio, says that this suggests you can increase muscle strength solely by sending a larger signal to motor neurons from the brain. New Scientist magazine reports that Dr Yue and his colleagues have already found that visualising exercise was enough to increase strength in a muscle in the little finger, which it uses to move sideways. Now his team have turned their attention to a larger, more frequently used muscle, the bicep. They asked 10 volunteers aged 20 to 35 to imagine flexing one of their biceps as hard as possible in training sessions five times a week. The researchers recorded the electrical brain activity during the sessions. To ensure the volunteers weren't unintentionally tensing, they also monitored electrical impulses at the motor neurons of their arm muscles. Every two weeks, they measured the strength of the volunteers' muscles. The volunteers who thought about exercise showed a 13.5% increase in strength after a few weeks, and maintained that gain for three months after the training stopped. Controls who missed out on the mental workout showed no improvement in strength. Boy, this sure gets repetitive. Do I have to say it again? Thoughts affect reality, yadayadayada. I have been reading your blog regularly. Your recent topics on 'mind over matter' struck a chord with recent events in my life and my personal experience as a whole. .... It was like all the different pieces begin to fall into place and reading your blog makes it even clearer to me now. I always have this fear that if I share my 'secret' with friends, I will get ridicule and laugh at. So instead, I kept this to myself and believe that once I have made something with my life, it will be easier for me to talk about this with the right people at the right time. thank you for sharing this wonderful topic on your blog. Keep writing. This reader provided his real name, but I'll just call him P because I'm not sure he wants to be named. What is the strikingly similar theme I mentioned? Typically, the person starts off in average, mediocre or distinctly dismal circumstances. Then at some point in time, he starts experimenting with some particular "success technique" or mindhacking method. Suddenly, his life begins to change. Drastically, and for the better. The success is startling even to the person himself. Eventually, compared to his previous circumstances, he becomes almost embarrassingly successful. Then at some point, he develops an urge to want to share his wonderful secret with others. With his friends. With his family. But there is fear. There is hesitation. There is the worry that he will be perceived as superstitious, mad or delusional. And so he holds back. He doesn't tell. I should know. I've been there. There are lots of things that Mr Wang knows through personal experience, and he isn't even telling you. What he tells you on his blog is only the tip of the iceberg. Same for P. Within his little email above resides a very big secret. Those who know, know. Those who don't, don't. Their loss. Anyway, P's chosen success method, by his own account, was to write down his goals. To the uninitiated, mere writing may sound like an utterly ineffective method to achieve anything. What may surprise you is that practically every self-improvement book emphasises the importance of writing down your goals. Furthermore the authors will devote many, many pages as to how exactly to go about this task. There are many little tips and tricks to make it work. This is a simple yet formidable method which must never be underestimated. The real secret is to write such that the goals get impressed onto your unconscious mind. And then something quite similar to the Rosenthal effect will happen again. Remember - the teachers don't actually know how to make the kids smart. But simply by believing that the kids are smart (even though this belief is objectively false), the teachers WILL end up making the kids smart, creating a clear, measurable jump in their IQ scores. Similarly, you may not know exactly HOW to achieve your goals. Your conscious mind may not even accept that you could achieve such goals. But if you write the goals down such that they are impressed onto your unconscious mind, then your unconscious mind WILL make your goals come true, creating clear, measurable results. Mr Wang would explain further, but why bother. Thoughts affect reality; your mind is the universe; the unconscious overpowers the conscious, Freud's iceberg model of human consciousness etc etc. Those are the details. Those who really want to know, will find out. Those who don't, won't. If you know how to impress your goals onto your unconscious mind, then like P, you could write your goals all the way to Insead and Harvard. If those were the goals you chose. Of course that's entirely up to you. You could choose entirely different things. Far more amazing things, and yes, most of them will come true. You're about to flip a coin. You really, really hope to get tails. Does the effect of your hope, your intention, have any effect on the likelihood that you do get tails? Of course it does. Duh. Thought affects reality, remember? I must have told you that about 50 times in the past two weeks. Haven't you been paying attention? See below for an article about an experiment, conducted at one of the Ivy League universities in the United States, to determine whether human intention can affect events which are apparently of a purely random nature. The experiment is still ongoing. Based on current results so far, the answer is yes, pure human intention does affect such random events. So far, the statistical probability that this answer is wrong is calculated at less than 1 in 1,000,000,000,000. In other words, there is more than a 999,999,999,999 out of 1,000,000,000,000 chance that human intention does affect apparently random events. Note: this is not to say that you're going to get 999,999,999,999 tails out of 1,000,000,000,000 times you flip a coin. What the experiment says is that your intention DOES influence the outcome on the event. And that the probability that such a conclusion is wrong is less than 1 in 1,000,000,000,000. To put it another way, it is quite absurd to believe that human intention does NOT affect "random" events. Somewhere in the late 1970’s, an undergraduate student at Princeton University approached the then dean of engineering, Dr. Robert Jahn, and complained that not a single member of the engineering faculty was willing to supervise her senior project. “That’s impossible” thought Jahn, until she went on explain what her project was about. “I want to replicate experiments which show that the mind can influence physical matter!” announced the student. When he heard this, Dean Jahn knew exactly what the problem was; even he wouldn’t want to advise a project that was based on such non-sense! Rather than dismissing her project off the bat, Jahn remembered his earlier promise that students at Princeton could pursue projects in any legitimate topic that interested them. For the sake of promoting free intellectual inquiry he told the student that he would supervise the work himself if she could demonstrate the serious nature of the project. In the months that followed, Professor Jahn was persuaded that the subject at least warranted some kind of precursory inquiry. Experiments run by a man named Helmut Schmidt at Boeing labs claimed to show a correlation between the output of a device known as a random event generator and the intention of human participants. After talking with Schmidt and contemplating the engineering implications of the data, Jahn agreed to supervise a replication of Schmidt's experiment. In this experiment, a device called a random event generator would be used much like an electronic coin flipper. The device produces outcomes that can have one of two states, which are analogous to the heads and tails of a coin toss, each with exactly a 50% probability of occurring. Unlike an electronic coin flipper, the REG takes advantage of the fundamental properites of quantum mechanics to generate its random outputs. Unlike most other objects that we encounter, even with information about every element of the system, modern physical theory states that it is impossible to predict the next output from one of these devices. The article is quite long, and split over several web pages. To read in full, start here. I am busy with some other personal mindhacking projects - I may not blog here so often in the next 2 weeks or so. But rest assured that Mr Wang shall be back to tell you more about how thought affects reality. There is no escape! Your mind is the universe. Change your mind and the universe must ___________. . So while we're still on the topic of thoughts affecting reality, let's turn our attention to our animal friends. Do you have a pet dog or cat? Would you like it to be smarter? Just start believing that it is smarter, and it will immediately start becoming smarter. What? You don't believe Mr Wang? Let me make an even more grandiose claim. This "thought-affects-reality" method will work even for your pet hamster. 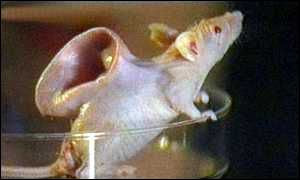 Start believing that it is a smart little rodent, and its IQ will also expand. Yes, this has been scientifically verified for rodents. In a famous experiment, a group of graduate students were given some rats and were told that these rats had been specially bred for their superior intelligence, especially for their "navigational" ability. Another group of students were given some other rats and were told that these rats had been specially bred for their stupidity. All the students were then asked to train their respective rats to figure their way out of mazes. True enough, the supposedly "smart" rats ended up performing much better than the "stupid" rats. Most of the "stupid" rats did not even manage to make it past the start line in the maze. Of course, the truth was that none of the rats had been specially bred for anything. All the rats had been randomly chosen for this experiment. They were "equal" rats. However, the (objectively false) belief that certain rats were smart led to the superior performance of those rats. The (objectively false) belief that certain rats were stupid led to the inferior performance of those rats. Another simple example of thought affecting reality. "Mr Wang, that's amazing," you say. "But are you sure it works for dogs and cats?" Well, actually I don't know of any such experiments involving dogs or cats. After Robert Rosenthal finished his rat experiment, he skipped the dogs and cats and went on directly to human children. "All of the children in the study were administered a nonverbal test of intelligence, which was disguised as a test that would predict intellectual "blooming." The test was labeled "The Harvard Test of Inflected Acquisition." There were 18 classrooms in the school, three at each of the six grade levels. Within each grade level, the three classrooms were composed of children with above-average ability, average ability, and below-average ability, respectively. Within each of the 18 classrooms, approximately 20% of the children were chosen at random to form the experimental group. The teachers of these children were told that their scores on the "Test of Inflected Acquisition" indicated they would show surprising gains in intellectual competence during the next 8 months of school. The only difference between the experimental group and the control group children, then, was in the minds of the teachers. At the end of the school year, 8 months later, all the children were retested with the same test of intelligence. Overall, the children from whom the teachers had been led to expect greater intellectual gain showed a significantly greater gain than did the children of the control group, thereby supporting the "Pygmalion" hypothesis." Link. Here's the simple, practical summary. If you want your children to be smart, start believing that they are smart. If you want your children to be stupid, start believing that they are stupid. Whatever you choose to believe about your children, will come true. Now, Mr Wang invites you to consider this. If your beliefs about another person, or even a rat, can already affect his/its mental abilities, how would your beliefs about yourself affect ..... your own mental abilities? A finance professor and his student take a walk together. Suddenly they see a $50 note lying on the ground. As the student stoops to pick it up, the professor says: "Don't bother - if it were really a $50 note, it wouldn't be there." Hahahahaa! Well, okay. If you don't know what the EM hypothesis is, you might not get this joke. Anyway, this Sunday, Mr Wang will take you on a whimsical "thoughts-affect-reality" tour of the world of finance. Let's start with the basics. How do you make money out of the stock market? Very simple. You buy a share at a certain price, eg at $1.00, and later you sell it at a higher price, eg $1.50. There - you just made $0.50. But in the first place, how do you know what to buy? There are three major schools of thought, known as fundamental analysis, technical analysis and the efficient market hypothesis. Let's take a look. Intuitively, fundamental analysis makes the most sense to the layman. As the name suggests, you'll analyse the "fundamentals" of each stock. For example, you could start by analysing the general economy (eg the government's estimates for annual economic growth). Then you could analyse a particular industry within that general economy (for example, the financial services industry and the factors affecting it). Then you analyse a particular company within that industry (for example, DBS and its financial statements, its products and services, its business strategies etc). You then form a view. You say, "Based on my analysis, the intrinsic value of this company's share ought to be $1.50." You then check the market. You find that the share is actually trading at $1.00. You quickly buy the share. In your opinion, the share is undervalued; people will realise it later; you're smarter than them, because you realised it first; and later you will be able to sell the share for $1.50. There, you made $0.50. Mr Wang would say this: "Fundamental analysis assumes that there is an external objective reality. If we study this reality rationally, we can discover what that reality is. Using logical thinking, we will be able to identify the intrinsic value of the share. By using superior logical thinking, we can spot cheap shares faster than other investors, buy them up quickly, and sell them for a profit later." Technical analysis is quite different. It does not care about the economy. It does not care about the growth prospects of any particular industry. It does not care whether the company's CEO has 20 years of management experience or had dropped out from primary school. All these factors are completely irrelevant in technical analysis. Technical analysis says that the market value of a share is determined solely by the supply and demand for it. Supply and demand depends on the hopes, fears, opinions, views, conclusions and guesses of numerous potential buyers and sellers - whether rational or not. All these factors are ultimately reflected in charts tracking the price of a share, the volume of trading etc. Furthermore, chart patterns tend to repeat themselves. Terms to describe such patterns include "head and shoulders", "double top", "consolidation rectangles", "runaway gaps" and so on. From these patterns, you can predict certain trends that will continue for some time (that is, the price will either go upwards for some time, or downwards for some time, or stay approximately constant for some time). By studying the charts (and absolutely nothing else), you can predict which way the price is going to go. And that's how you make money, using technical analysis. Mr Wang would say this: "Technical analysis assumes that there is an external reality, but that the reality is subjective. This reality is continually responding to the thoughts of investors, as a whole. If enough investors think hard enough that a particular share will go up, then it will go up. If enough investors think hard enough that a share will go down, then it will go down. Thus it is a waste of time studying "objective", "rational" data such as the latest release of economic data or the level of political stability in Singapore. Just study the charts, whch represent all the investors' collective thoughts, which in turn move in predictable patterms. Study the charts, and you will know how the external reality will change in the future." Now we turn to the efficient market hypothesis (also known as the random walk theory). It says that financial markets are so efficient at pricing in all available information that absolutely no one in the world can consistently predict the direction of the stock market or which stock will be the next winner. For example, let's say that today, there is a terrorist attack in New York, or DBS announces its new business strategies for the next five years, or Microsoft appoints a new CEO. As soon as this information is released, it is instantly priced into the market. Investors, as a collective group, instantly take note of this information and the share prices of DBS and Microsoft immediately adjust, according to the opinions and views of investors, as a collective whole. According to the efficient market hypothesis, fundamental analysis is basically useless. That's because every piece of information that the fundamental analyst is studying has ALREADY been taken into account. There is no point in studying the economy, or the industry, or any company, in the hope of finding a cheap, undervalued share that you can sell for a higher price later. Every available piece of information you're looking at has ALREADY been priced into the entire market. The implication is that there is no rational way to find a "good" share to buy. There is no rational way to identify a "bad" share. Shares are simply whatever the entire universe of investors think they are. World-renowned finance expert Burton Malkiel goes so far as to say this: "A blindfolded chimpanzee throwing darts at the Wall Street Journal could select a portfolio that would do as well as the experts." Here's another way to look at it - at any given moment, as long as the stock exchange is open, the price of each share is a perfect reflection of (1) all available information in the universe about that share, and (2) the sum total of all opinions, guesses, hopes, fears, beliefs, conclusions and expectations that all investors have ever had about this information. Mr Wang would say this: "The efficient market hypothesis says that the present reality of a share's price is created by all the thoughts, past and present, that all investors in the universe have EVER had about that share. Furthermore, any new thoughts that investors may have about the share INSTANTLY affect the share. Time is pretty much an illusion." "Woah, that sounds like karma. Bernard Leong blogs at various places, including Singapore Angle, the Science Abode and Singapore Entrepreneurs. He also happens to have a PhD in Physics from Cambridge University, and his research areas include theoreotical astrophysics and cosmology. Recently there has been lots of discussion on my blog on .... quantum physics! The stuff we're talking about include the Copenhagen interpretation, the Bohm interpretation, the "consciousness causes collapse" interpretation, and all the implications for the "everyday reality" that we think we live in. The discussion goes on in the comment section of three posts - "Time is an Illusion"; "How to Grow A Limb" and "Mindhacking Safe & Simple - Part 1". As you have a PhD in Theoretical Physics from Cambridge University, I'm inviting you to share your own thoughts on the matter. With your background, I think you will certainly be able to offer some educational and enlightening explanations. If you could contribute a guest post to my blog, on this topic, that would be great. I leave it to you to write the article as you please. Naturally if your opinion is that I have recently become an crazy idiot, I must insist that you be completely honest and say so in your article. I promise that I will post your article on my blog with no editing, no revision, no censorship whatsoever. This could be fun! I hope Bernard accepts my invitation. In the past few posts, I've been accused of so many different things, it's hilarious. For example, some people say that I'm using science to advocate my religion, Buddhism. (Funny, but I'm not a Buddhist). Then the Buddhists say that I'm talking about meditation, but applying it towards secular purposes, and thereby distracting my readers from enlightenment. (Funny, but the universe never told me I had a duty to guide my readers towards enlightenment). Then others say that I'm mixing up science and Buddhism in a very bad way; you should never discuss "science" together with "God" or any similar concept like "consciousness", and if you do, well, you're just playing semantic games, engaging in philosophical debates that, in truth, have nothing to do with reality. That's ....... interesting. Because science and religion do, in my reality, co-exist. Aren't there scientists AND religious believers in yours? Don't they live in the same cities, go to the same places, eat the same food, walk around in the same space-time reality? Can't the Dalai Lama also do a double-slit experiment with a photomultiplier? Can't a quantum physicist also meditate on the effect of subjective thought processes on his lab experiment? What would happen, if the Dalai Lama and scientists were placed in the same space-time reality? Well, in case you didn't know, this kind of thing does happen quite often. In the end, they're all quite interested in the same things, you see. Fortunately, some Buddhists and some scientists are more open-minded than, say, some of my blog readers. The University of Innsbruck in Austria is one of the world's leading centres for research into the mysteries and subtleties of quantum theory. The work of Anton Zeilinger and colleagues at Innsbruck - such as the experimental demonstration of quantum teleportation - regularly appears in the leading journals, and in magazines such as Physics World . Recently a surprising figure was seen in the labs. Was that really the Dalai Lama - the spiritual leader of Tibetan Buddhism and winner of the 1989 Nobel Peace Prize - checking out a quantum optics experiment? Zeilinger had invited the Dalai Lama to his laboratory following a meeting at Dharamsala in Northern India last October at which he and four other physicists had, over the course of five days, discussed physics and cosmology with the Buddhist leader. In Dharamsala, Zeilinger had demonstrated some basic quantum phenomena - such as wave-particle duality - using a laser-based double-slit experiment with a photomultiplier tube connected to a loud-speaker. The Dalai Lama's visit to Innsbruck allowed other quantum effects to be demonstrated for him. Zeilinger says that the Dalai Lama did not have a problem with photons having both particle and wave-like properties, but was reluctant to accept that individual quantum events are random. For example, he refused to accept that we cannot know which path a photon takes in a two-path quantum interference experiment. 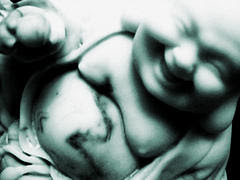 Zeilinger notes that continuity of existence is very important to Buddhists because it leads to reincarnation. However, observation plays a key part in what we can know in both quantum theory and Buddhism, and Zeilinger was surprised to learn that the Dalai Lama agreed that there are not only limits on what we can measure, but also limits on what we can know, even in principle. So what is Tibetan Buddhism? And what possible connection can it have with physics? According to Alan Wallace, an interpreter at the meeting, Buddhism is a spiritual tradition with strong empirical, philosophical and religious components, including a belief in the after-life and reincarnation and healthy doses of meditation. 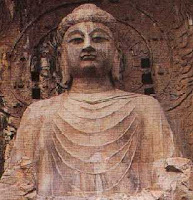 Buddhism, he explains, is based on the four noble truths: the reality of suffering and conflict; the inner origins of suffering and conflict; the possibility of the cessation of suffering and its sources; and that Buddhism presents a path to this cessation through spiritual practices. The bottom line is that the root of suffering and conflict is ignorance and delusion, and that the path to spiritual freedom is the path of knowledge and insight. Wallace is well placed to discuss the links between science and Buddhism. After spending 14 years as a Buddhist monk in India, Switzerland and the US, he graduated in physics from Amherst College in the 1980s. It was at Amherst that he met Arthur Zajonc, the physicist who was the scientific co-ordinator for the Dharamsala meeting. Wallace is now professor of Tibetan studies at the University of California at Santa Barbara. "It is natural for Buddhists to be interested in science, " he says, "because science is the most complete and successful theory of the physical universe we have. The Buddhist pursuit of truth includes not only the nature of consciousness, about which modern science knows very little, but also the entire world of which we are conscious." 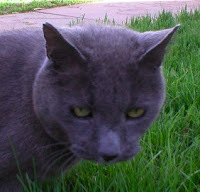 Wallace agrees that quantum mechanics and Buddhism have many similarities: neither is fully objective (i.e. certain quantum properties only have meaning in the context of a measurement) nor fully subjective. Consciousness and various mind-body problems are also similar in this respect, he adds. According to Wallace, the Dalai Lama had not realized before that these sorts of philosophical questions could be so clearly demonstrated in the laboratory, while physicists were surprised that the introspective approach of Buddhism led to similar questions. Zajonc says that he found many elements of Buddhism potentially quite helpful to the philosophical treatment of quantum mechanics. "It quickly became clear, " he adds, "that Tibetan Buddhism offers a vast and subtle set of philosophical approaches that we in the West would benefit by knowing, even in the sciences." The conference in Dharamsala was the sixth in the "Mind and Life" series in which the Dalai Lama meets with scientists, but the first on the physical sciences. The previous five had been concerned with the brain, consciousness and related topics. According to Wallace, the meetings are a response to the Dalai Lama's own fascination with science and his belief that Tibetan Buddhism must not turn its back on modern knowledge. There are two main reasons for conferences: to provide a high-level tutorial for the Dalai Lama; and to encourage scientists to explore new ideas, inspired by Tibetan Buddhist philosophy, psychology and meditation. George Greenstein, a theoretical astrophysicist at Amherst College, spoke about cosmology in Dharamsala. The other physicists present were Piet Hut of the Institute of Advanced Studies in Princeton, David Finkelstein of the Georgia Institute of Technology, Zajonc and Zeilinger. "The dialogues, " says Greenstein, "included a good deal of factual information in which the Dalai Lama was extremely interested." Philosophical questions were also discussed. For example, is the big bang a moment of creation, as opposed to a transformation from one state to another? How can we understand creation? And did time and the laws of physics exist before the creation? Greenstein says that philosophical questions are never answered, just discussed in new and interesting ways. His hope was that the Dalai Lama would ask the questions in new ways. "This happened in general, " he says, "but I cannot quote chapter and verse about specific topics. It was more amorphous and subterranean." So why did Zeilinger agree to visit the Dalai Lama in the first place? "Science is an endeavour on which we have just started, " he says. "We are just fledglings and it is important to pull together all the intellectual traditions in the world." Would Greenstein like to continue the discussions? "I would love to go back to Dharamsala, " he says. "Considering we were discussing all of physics and astronomy, we only scratched the surface. We flew over a new continent. I'd love to go back and land and walk around a bit." "Oh, it takes about a week." A reader, Angry Doctor, has posed a question - if you have lost a limb, can it grow back? And can you use your mind to help it do so? I think he meant to be sarcastic, but it really is quite an interesting question. So I decided to check it out to see how this might be possible. Firstly, I typed "How to Grow A Limb" into Google. It turns out that there ARE scientists working on this question (and no, they aren't studying starfish or salamanders). Growing human arms in test tubes isn’t science fiction. It’s the future of medicine. When David Gardiner first began researching regenerative medicine two decades ago, many of his fellow biologists told him he was wasting his time on a science that would never produce results. Regenerating human hearts and lungs for transplant? Fantasy. Creating entirely new limbs for amputees? Ridiculous. Five years ago the reaction changed slightly to, “Well, maybe. Just not any time soon.” But recently, with high profile cases like Dolly the cloned sheep and Christopher Reeve reporting he has recovered some use of his central nervous system, the regenerative medicine field has been blown wide open. Now, anything is considered possible. While Gardiner does caution that limb regeneration is “a long, long, long way away,” he sees no reason why it couldn’t happen in his lifetime. “I think, of course, it’s going to happen. It’s not that difficult. So many of the cells and the tissues in our arm have the ability to regenerate,” he says. If researchers can figure out the blueprint, re-growing a limb could become a routine procedure that would go something like this: A person comes into the hospital with an arm severed at the shoulder. The doctor creates some kind of signal, electrical or biological, which tells the body that instead of forming scar tissue, it should instead form a blastema, the first nub of regeneration. Well, this scientist seems pretty certain that it's just a matter of time. The process, it seems, is to send an electrical or biological signal that tells the body to grow a new limb, instead of forming scar tissue. I'm no doctor. But I do know that electrical signals are sent around the body by the central nervous system. The central nervous system includes the brain. In fact the brain uses the nervous system to send electrical signals around the body to tell it what to do. Theoretically, if the brain sends out the right electrical signals, what the article mentioned should be achievable. The blastema will form. A new limb will grow. It all depends on whether you can manipulate your brain in the right way. Theoretically, if the brain gets involved in generating the right biological signals, what the article mentioned should be achievable too. The blastema will form. A new limb will grow. It all depends on whether you can manipulate your brain in the right way. Is this really astounding? Hmmm. It's interesting, but it's not such a far stretch, The brain is of course involved in hormone production processes (actually, I'm not sure if there's hardly any human biological process in which the brain is NOT involved) which means it is always involved in sending biological signals. And we already know that hypnosis can help flesh wounds and broken bones to heal significantly faster - this study by Harvard Medical School says so. That means that the mind is quite able to influence matters at a cellular level. "He amazed scientists by his demonstration, under laboratory conditions, of precise conscious control of autonomic physical responses and mental functioning, previously thought to be impossible. Under these scientific conditions, Swami Rama demonstrated his ability to stop his heart from pumping blood for seventeen seconds, to produce a ten-degree difference in temperature between different parts of the palm of his hand, and to voluntarily produce and maintain specific brain wave patterns on demand. He first generated brain wave patterns that were predominately characterized by beta waves; then he produced alpha waves, which are generally associated with a relaxed state. Finally, he was able to demonstrate the production of theta waves. Theta waves are associated with unconscious states, in contrast to alpha and beta waves, which are associated with conscious states. While producing theta waves, Swami Rama appeared to be in a state of deep sleep. However, he was able to recall everything that had transpired in the room during that period." Link. Who knows, maybe HE would have some idea of how to grow a new limb. Side note: did you know that children aged 2 and below who lose their fingertips in accidents can consistently grow them back? I learned that from this article. Unfortunately, such regrowth is rare in adult humans, but scientists are now experimenting to see whether they can use certain pig extracts to get injured soldiers to grow new fingers. "What exactly does one do when one meditates, Mr Wang? Do you think specific thoughts or do you try to "clear your mind"? I find it extremely difficult to "clear my mind" of all thoughts. The very act of trying not to think of anything, is a form of thinking." Well, it all depends on what kind of meditation you're doing. However, for starters, meditators usually do some form of concentration meditation. So I'll discuss that. Concentration meditation refers to those types of meditation where you pick one thing and focus your attention on it. The thing could be your breath. It could be background noise. It could be the sound of a chant "Om". It could be the luminous presence of your mind. Or it could be a candle flame. Etc. Whatever the thing is, the idea is that you will keep your attention focused on it. You do not analyse it, you do not form opinions about it, you do not think about it. You simply observe it, and keep observing it. Inevitably your thoughts will stray. For beginners, it will take approximately 7 seconds before you start thinking of something. You will start thinking about your work in the office, or your brother's new car, or your dental appointment next week. Anything but the one thing that you were supposed to be observing. Anyway, as soon as you become aware that your thoughts have strayed, you bring your attention back to the thing again. And again and again and again. One of the very first lessons you will learn is that you are not your conscious mind. Your conscious mind has a mind, a personality of its own and it usually will not be very happy that you told it to shut up for 20 minutes. Next you will learn that you are not the master of your conscious mind. It may even turn out to be your master. You will see that your conscious mind seems to wander where it will, it simply will not follow your instruction to stay in one spot. It also has a surprising ability to walk away without you noticing, until much later. Over time, if you keep practising your concentration meditation, you will notice several benefits. The monkey mind can be tamed. One benefit is that your concentration dramatically improves. This obviously is of considerable practical benefit. For example, if you need to do some work, you can place your concentration on your work, and you will find that your concentration is very solid. It will sit on your work like a physical object, and it won't move until your work is done. You will not be easily distracted. In other words, if you can concentrate fully, and wordlessly for 30 minutes on a candle flame, you will find it easy to, say, fully concentrate on your textbooks for 2 straight hours. Piece of cake, really. But that is not what I really want to talk about today. Today, what I really want to talk about is presence in the now. Being present in the now is a key idea in many different spiritual disciplines. It is literally what it means - your attention is fully aware, fully focused, on where you are right now, and what is happening right now. In other words, you are not thinking about what happened last year, or last week. You are not thinking about what you need to do later today, or next month, or six months from now. 100% of your mental faculties is focused onto the present moment. Presence in the moment is an attribute you can practise and develop through concentration meditation. If you are concentrating on your breath, you concentrate on your breath as it rises and falls, right now. If you are concentrating on a candle flame, you concentrate on it fully, right now. You do not think of anything else. This is how you learn to be fully alive. Because all you can ever have is the present moment. There is a fundamental spiritual truth here, but it's difficult to express it in words. But it's something you can experience. The past, you see, is an illusion, and so is the future. Neither of them really exist. The past is basically just memory. And memory is just the movement of certain electrical impulses in your brain. The future is basically just imagination. And imagination, too, is just the movement of certain electrical impulses in your brain. So you only have one place left. That's the present. That's why it is important to learn to concentrate on being fully present in the now. It's the only place where you can live. The more you concentrate on being here, the more fully alive you'll be. Since there exists in this four dimensional structure [space-time] no longer any sections which represent "now" objectively, the concepts of happening and becoming are indeed not completely suspended, but yet complicated. It appears therefore more natural to think of physical reality as a four dimensional existence, instead of, as hitherto, the evolution of a three dimensional existence. Einstein's belief in an undivided solid reality was clear to him, so much so that he completely rejected the separation we experience as the moment of now. He believed there is no true division between past and future, there is rather a single existence. His most descriptive testimony to this faith came when his lifelong friend Besso died. Einstein wrote a letter to Besso's family, saying that although Besso had preceded him in death it was of no consequence, "...for us physicists believe the separation between past, present, and future is only an illusion, although a convincing one." Link. Einstein was a damnably smart chap. Through his physics and maths, he actually figured out lots of things which Buddha only found out through getting enlightenment. Einstein's words - "Reality is merely an illusion, albeit a very persistent one." It's something that could have come out of Buddha's mouth. Oh, as for those who want to know more about the interesting spiritual idea that the future and the past do not exist, I recommend this book: The Power of Now. Note that it is not a "how-to-meditate" book, so go look for another title, if a "how-to-meditate" book is what you really want. I suppose the term "mindhacking" scares some people. It might invite the image of a violent psychotic waving an axe and chopping away at someone's head. The more appropriate image is that of a computer hacker. You're the hacker, and the computer you're hacking is your own mind. What a very curious, very interesting specimen it turns out to be. You MUST investigate further (it's called self-discovery). And so you hack on, because you want to understand your own mind. The mind is also the only way you can know or understand anything about the universe. So what you're also trying to do is to know and understand your own universe. There is no separation, you see. Everything you know about the universe, you know through your mind. Light enters your eyes. Sound enters your ears. Things touch your skin. All of these are sense data. None of it has any meaning, none of it has ever had any meaning, except the meaning that your mind attaches to it. That has been the way since you were born. That has been the way since before you were born. Even what you're reading now is just light from your computer screen passing through your pupils into the back of your eye. The light stimulates the optic nerve which then transmits signals to your brain. The only meaning you find here is whatever meaning your brain attaches to those signals. You could even put it this way - effectively, your mind is the universe. Change your mind, and you change the _____________. There I go again. And I promised to make this a safe and simple post. Bad boy, Mr Wang. "Can you give any tips as how to get started in meditation? The reason why I'm not heading out to the bookstores/library to purchased DIY meditation books is I've been warned by friends not to start meditation alone as a newbie. Is there any valid basis for their well-intentioned advice? If there is, is there any good centre of instruction/guru you can recommend?" Yes, you can start meditating alone. But yes, there is some basis for their well-intentioned advice. The basis is not valid and stems from a misunderstanding of what meditation does. I'll explain. When you start meditating, and you do it correctly, there will be a disturbing phase you have to pass through. It comes in varying degrees of intensity, and it might get uncomfortably intense. However, the fact that you enter such a phase at all shows that you are really meditating. During this phase, things are perfectly fine when you are actually meditating. Nothing extraordinary happens. It could even be a little boring, sitting still and quiet for so long. The disturbing part is when you finish your meditation and go about your everyday life. You go to work or school, you meet your friends, you talk to people, you go to the supermarket, the cinema, the drycleaner. On the surface your daily routine is exactly the same. Your external, observable behaviour is exactly the same. But on the inside - you can feel that something has changed. Something has definitely changed. Your mind feels disturbed and chaotic. You sense anger in it. You sense deep fear and anxiety. Your mind feels distracted and irrational. And you sense and feel all these things, many times each day, throughout the day. Even when there is no apparent reason. Even when you're doing perfectly ordinary, everyday things like talking to your mother or buying food at the kopitiam. Since the only thing you've been doing differently is that you've taken up meditation, you identify meditation as the cause. You conclude that you may be doing something risky or harmful to your mind. You wonder if you might be making yourself mad. This is alarming. You tell others, "Wow, if you ever want to take up meditation, you'd better not do it alone. You should sign up for a class and get a teacher." And you yourself immediately quit meditating. This is unfortunate. Because you were actually meditating well, and making good progress. increasing interest among western psychiatrists as a non-pharmacological means of dealing with anxiety and depressive mood states." What was happening? You were developing mindfulness. For the first time in your life, you were becoming aware of your own mind. You felt its anger, fear and anxiety, its distraction and irrationality. But they had been there all along. Your mind had always been disturbed. Your mind had always been chaotic. The anger, the fear, the anxiety, the repressed impulses - they had been there all along. The only thing your meditation had done, up to this point, is reveal your own mind to you. Yes, the average human mind is very disturbed. Most of us just don't know it. Now you do - you've come to know it about your own mind. This is the first step of what meditation can do for you. A number of readers have emailed me to ask that I blog more about mindhacking. Separately, I have noticed that some of my readers seem to be fervent Buddhists (see readers comments' over here). So today I will blog about mindhacking, and inject some Buddhist perspectives into it. As our starting point, we'll use karma, as explained in Buddhism. If you think that karma is superstitition or hogwash, this is not a post for you and you can stop reading right about here (because the rest of the post is predicated on the basis that the Buddhist explanation of karma is correct). For the rest of you, let's proceed. Buddhism tells us everything in the universe comes into being purely as a result of the combination of causes and conditions. In other words, there are natural causal laws that operate throughout the universe. Karma is just one of those natural causal laws. The distinguishing feature is that karma is based on intention. For example, suppose you drive a car and knock someone down. The karmic consequences depend on your state of mind. Did you accidentally knock him down, or were you deliberately plotting to kill him? The physical effect - a dead man - may be the same, but the karmic consequences will be very different. Buddhism tells us that there is no escaping karma. It is not something that operates only from Monday to Friday; it does not close shop or stop work after 6 pm. Every intention, every thought has karmic consequences. Let me say that again, because the point is very important - every intention, every thought has karmic consequences. Everything happening in your life now is the consequence of some combination of thoughts and intentions you have had, sometime in your past. It is a universal law, you see. Even death is not an escape. Accumulated karma that hasn't fully expressed itself in this lifetime will simply follow you into the next. Actions (or more precisely, deliberate actions) can, in Buddhism, be broadly categorised into three groups. There are positive or virtuous actions (which will lead to positive and desirable consequences, such as experiences of happiness). There are negative or nonvirtuous actions (which will lead to suffering and pain). Then there are actions which are neither virtuous nor nonvirtuous (these lead to neutral feelings and experiences). Buddhism understands that the average mortal has little control over his mind. Intellectually, we may know that it is a good time to be kind, compassionate, patient, loving, forgiving, peaceful etc etc. In reality, we find it difficult to be kind, compassionate, patient, loving, forgiving, peaceful all the time, or even some of the time. Thus Buddhism teaches a systematic process towards enlightenment. The earlier steps of the process focus on guarding our body, speech and mind from engaging in negative actions (for example, lying, stealing etc). At this point in time, we'll stop to look at the basic proposition again - every intention, every thought has karmic consequences. For example, if you are a kind, loving person who constantly thinks kind, loving thoughts, the universe will deliver into your life the karmic consequences of those kind, loving thoughts. If you are an angry, violent person who constantly thinks angry, violent thoughts, the universe will deliver into your life the karmic consequences of those angry, violent thoughts. Every intention, every thought has karmic consequences. The universe will always ensure that. "I am quite an ordinary person, with average levels of ability, my luck is neither very good nor very bad, and I expect to have an average number of successes and failures in my life. I suppose I can't say that my life as a disaster, but of course I am not particularly happy or I don't feel completely fulfilled either." "I am a highly successful person, furthermore I am extremely lucky, I am always in the right place at the right time. I have outstanding ability, I have a wonderful family, I am a happy person, everything is always working out fine for me, in fact, better than I expected. I'm really grateful for all the good things I have, and I feel blessed." Now, let's go back to the basic Buddhist propositions again - every intention, every thought has karmic consequences. This is a universal law of cause and effect. Your thoughts and intentions are the cause of everything that happens in your life. The karmic consequences of your thoughts will always be delivered into your life. Because the universe will always ensure that. How would your life change, if you held on to that new set of thoughts described above? The way I see it, Singapore's priority is in ensuring the country's progress and the country's survival. The citizens of Singapore are secondary. Once you start accepting the above as the predominant strategy of the Singapore government, you will be able to accept the policies they come up with. Ask nothing about what your country can do for you. If you want something, you will have to fight for it. Personally I would have thought that being a citizen comes with certain responsibilities to the nation eg national service, loyalty, taxes, etc. However the government seems to say that we should expect nothing in return. In fact the expectation of nothing in return is "good" for the country and thus "good" for me. I am not eloquent enough to express what I feel. But I do know that I have given up thinking so much about what Singaporeans should have, and how Singapore should care for Singaporeans etc. It's every man for himself. Poet-playwright Alfian Saat put it more succinctly, several years ago. He wrote: "If you care too much about Singapore, first it’ll break your spirit, and finally it will break your heart." With hindsight, he would have added, "And you could suddenly lose your job too." Anyway, at a personal level, I agree with Dr Oz Bloke. In fact, I already realised it many years ago. When I say "personal level", I mean the way I think, plan and make decisions about my own life. I usually place little weight on the possibility that the Singapore government might actually do something good for me. If it happens, that's a plus, but before it happens, you certainly don't want to count on it. In fact, disbelieving the government was probably one of the best career decisions of my life. In contrast, making the mistake of trusting in the wrong government message could well hurt you for a long, long time - click here for an example. Personally I have little to complain about - I know that. Personally I'm smart enough and sharp enough to get by quite well on this little red dot. But I know that many others are not so fortunate. When I look at the bigger picture, I do find it hard to " give up thinking so much about what Singaporeans should have, and how Singapore should care for Singaporeans" (Dr Oz Bloke's words). That's why I often write posts like these - 1, 2, 3 and 4. I guess somewhere deep down inside I subconsciously still harbour some foolish hope that the Singapore government is going to do the right things for these people. Maybe I need to do some mindhacking here, and just rip that silly thought out of my head, once and for all. The government isn't here to care for you - the ministers have already told you straight in your face that they're doing their jobs just for the money. What did you think - they would serve the nation out of a sense of patriotism, of loyalty? Remember Lee Kuan Yew's words. "Those are noble sentiments, but we live in the real world." I guess I just hate unfairness and injustice. When I was a Deputy Public Prosecutor, I was like that too. Some other DPPs would regularly leave office at 6:30 pm. I would work obsessively to 10 pm, 11 pm, trying to fix unfairness and injustice everywhere I saw it. Believe me, there's plenty to fix within Singapore's criminal legal system. Any DPP who regularly goes home at 6:30 pm is either too stupid to see the unfairness and injustice, or has decided to close his eyes to it. You can't always blame them. It does get emotionally exhausting. It can even make a grown man cry. When the tears run out, you just grow numb. Or cold, like a robot. As I write this, I now recall what an older, more-experienced DPP once said to me. He saw me looking frazzled and angry at work, as I worked feverishly on a case trying to squeeze some fairness out of the system. In a kind tone, he said something like this: "If you care too much about this job, it’ll break your spirit, and it will break your heart." Maybe he had been reading Alfian's poetry, LOL. We sleep with our lights turned off. What are revolts? Rashes on a map. Handy with paint and plywood. That other elusive delusion, romance. We have nothing to offer for thawing. And still think of ships loaded with wealth. To the camera we still proffer smiles. The window offers another view. To witness a riot of sunlight. Of the silenced and the dead. This poem is taken from Alfian's second book of poetry, A History of Amnesia, which was shortlisted for a Kiriyama Asia-Pacific Book Prize. I think I'm probably rambling a little. I don't even know what this post is supposed to be about. I'm a little tired. I just took my last CMFAS paper today - yes, the last of those annoying exams that I discovered too late I didn't actually have to take. Oh, I passed. Isn't that nice. I've already got my results, because the exam is computer-based. You get 2 hours to click your way through 100 MCQ questions on a computer screen, and then the computer instantly calculates your score. Your exam certificate is printed out and you collect it from the exam invigilator on your way out of the room. Very efficient. MCQs are inherently efficient. Your opinions are unnecessary, your ideas are unwanted. Just click on (a), (b), (c) or (d). After reading the ST yesterday, my Mum had a talk with me. I'd expected the usual nagging about the number of times she had told me to steer clear of the political and to be a good little quiet boy. If only we were robots, and not real, live human beings. Then we wouldn't be asked to breed for the sake of the economy. Like pigs, ducks or chickens. Oh, don't forget to lay the right number of eggs. Gerald Giam is organising this and asked me to help publicise. If you're between 13 and 35 years old, you can make your own short film (no more than 5 minutes) and submit it for this festival. Oh, you don't need any fancy equipment - you could even just use your handphone. More details here. The ST Forum has a letter from the Ministry of Education which tries rather unconvincingly to argue that foreign students in our local universities do not actually displace any Singaporeans. Regrettably, the title of the letter - "Varsity Place for Every Singaporean Who Qualifies" is already stupid. If you cannot see the circularity of the statement, just compare it to phrases such as "Vitamin C for Everyone Who Eats an Orange" or "Death for Everyone Who is Hanged" or "Child For Woman Who Gives Birth". OF COURSE every Singaporean who qualifies for a varsity place will get a varsity place. The question is - who should qualify? What is the criteria? How many varsity places are there? How many of those varsity places go to foreign students? How any varsity places are left for Singaporeans to qualify for? I don't know why it is so difficult for them to admit that every place that went to a foreign student could have instead gone to a local student. Why can't they just admit that, and say that nonetheless they want to admit a certain percentage of foreign students per year, because there are certain benefits blah blah blah. (3) the number of varsity places given to "high-quality foreign students". I REFER to Mr Tan Thiam Chye's letter, 'Varsities: Talent-centred or citizen-centred?' (ST, April 24). 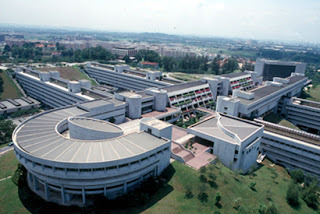 Our universities are Singaporean institutions whose objective is to serve Singaporeans. The Government's first priority in university education is to provide an affordable, top-quality education to citizens. The three universities - National University of Singapore, Nanyang Technological University and Singapore Management University - are already admitting one in every five local students to their undergraduate programmes. We are committed to increasing this to one in every four local students in a few years' time. We are also significantly increasing bursaries and study loans to Singaporean students who need financial assistance. Our universities are reviewing their tuition fees for future batches of foreign students, with a view to widening the gap between local- and foreign-student tuition fees. However, they must continue to attract high-quality foreign students, while providing places for every Singaporean who qualifies for admission. Good international students create vibrancy and diversity that will benefit and spur on our own students, and ensure that they receive a quality university experience. Likewise, the universities must attract the best faculty they can get, Singaporean and foreign. Without this international orientation, our universities cannot be the first-class institutions that Singaporeans deserve. "Given his legal background Mr. Wang is probably starting off his IB career in the structuring side focusing on the legal risk aspects of credit derivative contracts. Naturally, the IB team will want to have an experienced lawyer to navigate the legal risks that can be a tricky portion of credit derivative contracts. Acquiring an understanding for evaluating the credit risk of reference entities and counterparties will probably take somewhat longer. Meanwhile, the mathematical valuation and pricing aspects of credit derivatives will probably elude him for quite a while, given that one needs a strong foundation in applied mathematics in order to grasp the nuances of this field." In case you got lost in the technical jargon there, this is what the reader meant to say: Mr Wang may have moved from law to investment banking, but (a) he has probably been hired for his legal knowledge, and (b) he's probably clueless about the other, non-legal areas of investment banking. Apparently, a logical deduction. However, it relies on certain implicit assumptions. These assumptions are commonly made in Singapore and aren't always correct. In Singapore, we often tend to think that a person doesn't know anything about anything, unless he holds proper qualifications in it. By proper qualifications, we mean that he has gone to school, taken a course, passed his exams and been awarded a certfiicate, a diploma or a degree. Preferably one recognised by the Ministry of Education. Of course, this line of reasoning can go wrong for any number of different reasons. For example, a formal course may not actually teach anything relevant to what the supposedly-qualified person is really doing in his job. Or skills acquired in one particular field or discipline may turn out to be surprisingly transferable to another apparently unrelated field or discipline. Or a person may acquire quite considerable expertise without any formal training at all - for example, through self-learning, practical work experience, or because the subject-matter happens to be his favourite hobby. Last weekend I decided to organise my rather chaotic bookshelves and categorise my books according to topic. This picture shows a stack of banking and finance-related books that I've been reading over the past few years. (Note: this stack of book excludes my law books on banking and finance - those are in another stack). 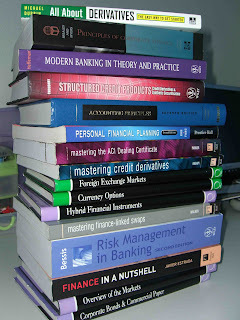 I could be wrong, but I suspect that my banking & finance textbooks are more than all the banking & finance textbooks that an undergrad student at SMU or NTU would have to read, over 3 or 4 years, in order to get a degree in Banking & Finance. Now of course, I have not read all of my books with the same vigour and rigour that a university student, mugging for his exams, would have read his textbooks. After all, my reading is not for the purpose of passing exams. My books are more for my leisure reading. I started reading those books when I was a lawyer advising on banking and finance. I thought that it would be interesting to know what all those bankers were talking about. Or sometimes a certain point would come up at work, and it would puzzle me, so over the weekend, I would just pick up the relevant book, zoom straight to the relevant chapter, and investigate that point. And if that was interesting, I'd just go on to read the next chapter as well. As the years passed, I just ended up reading more and more. And suddenly, I realise that if I add it all up, my total knowledge about investment banking is .... Very Not Insignificant. (Pardon the twisted language. I'm trying not to sound boastful here). So while law is still my professional forte, I've come to understand enough about other areas of the financial world to feel comfortable in an investment banking environment. I know enough to engage constructively with the traders, the structurers, the salespeople, the quants, the lawyers, the accountants, the credit officers, the tax advisors, the economists, the relationship managers, the compliance personnel ... and whoever else I need to engage with. To function effectively, I don't need to know everything that all of them know (which would be impossible and impractical). I just need to know enough about what each of them knows. In Part 2 of this series, I will share some thoughts on information and knowledge networking. You might also call it "Why You Don't Need To Know It All, To Know It All". So Is Life Rosy or Not?